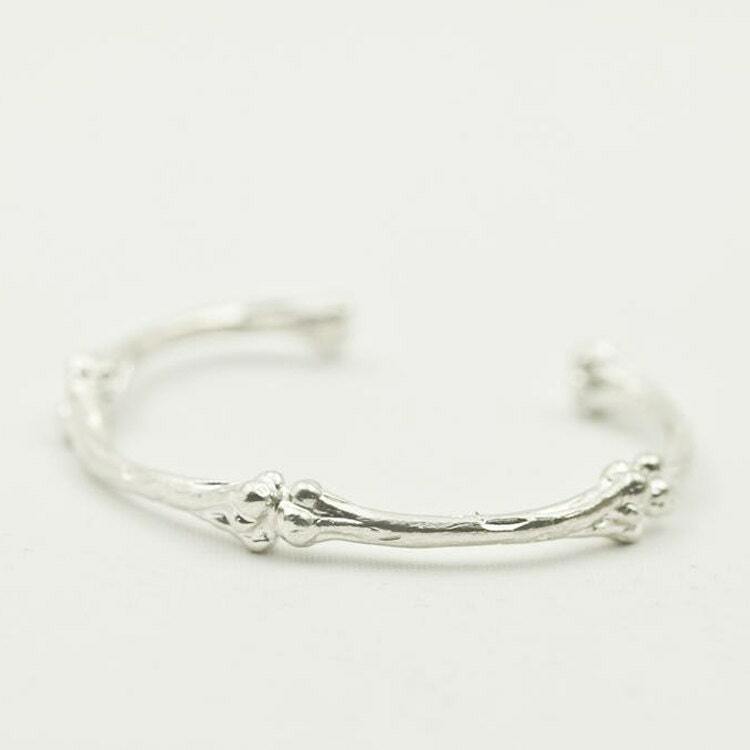 The skeleton bangle is crafted as a set of 4 silver bones joined together - curving into a shape of a bracelet. 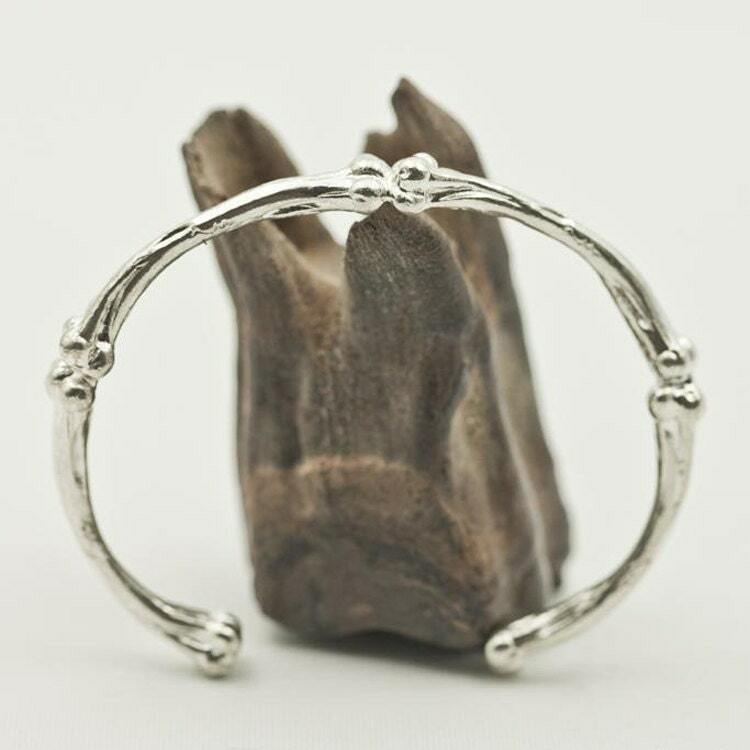 The Gothic bracelet is part of our wider collection of silver bone bracelets, necklaces, and rings that will appeal to the fans of Gothic jewelry and morbid jewelry. 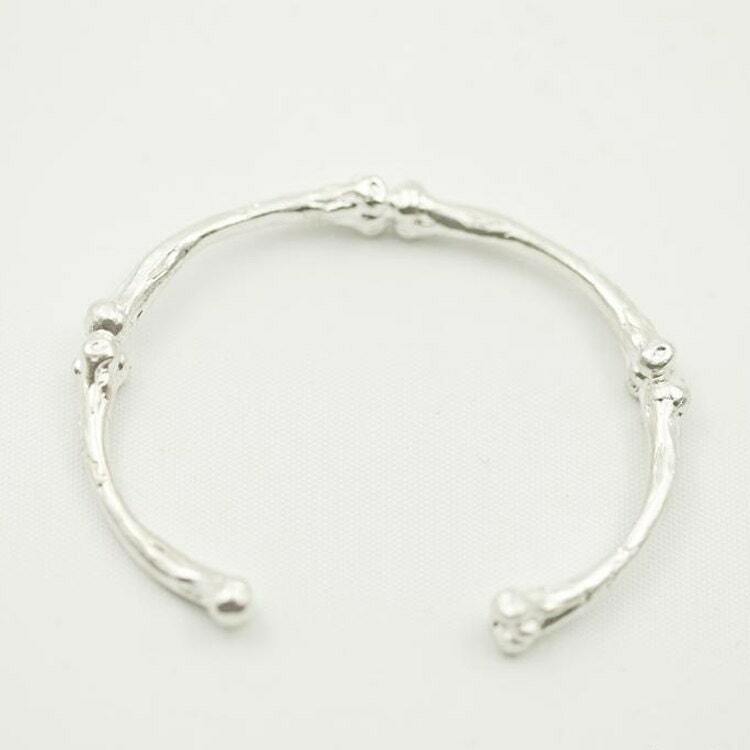 Length of Silver Bone Bangle: 13cm/5.12inch. Best for wrist circumference less than 16 cm / 6.3inch. 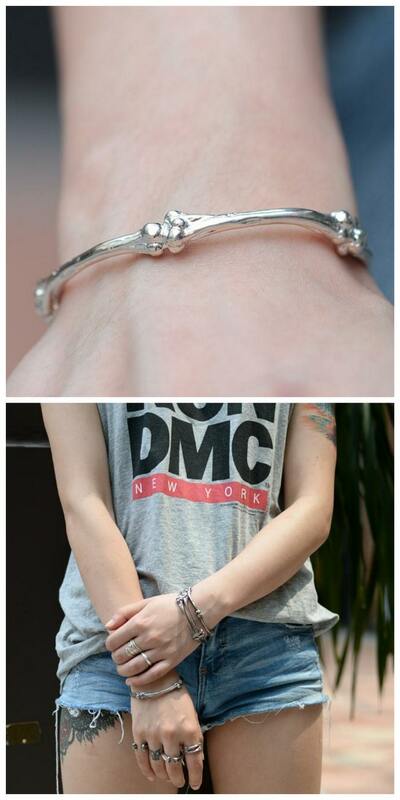 Width: 0.3 - 0.7cm / 0.12 - 0.28 inch. 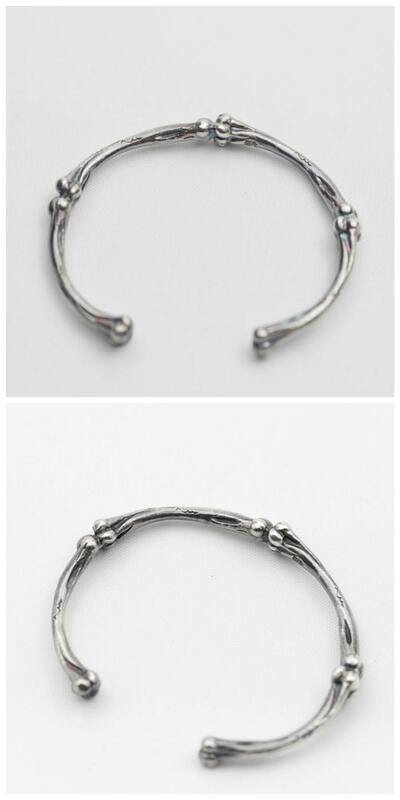 Thickness: 2.8-6mm/0.11-0.24inch.